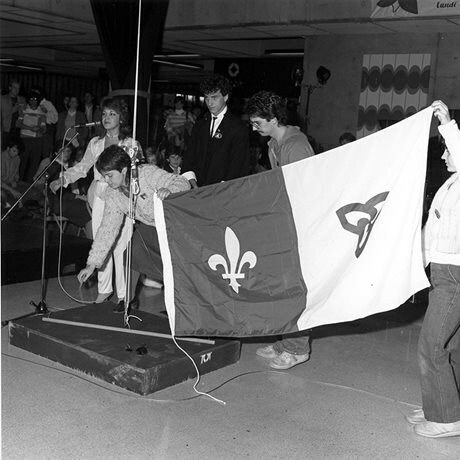 The Franco-Ontarian flag was flown for the first time at Laurentian University on September 25, 1975. Professor Gaétan Gervais and university student Michel Dupuis were its primary creators. Over time, the flag has become an important symbol of Franco-Ontarian heritage and identity, and of the struggle for French-language rights and education in the province. The flag was officially recognized by the Ontario legislature as an emblem of the francophone community of Ontario in June 2001. YouTube video – “Le drapeau franco-ontarien”, 1975 (in French).